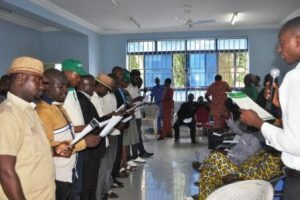 The National Council for Arts and Culture (NCAC) branch of the Radio and Television, Theater Arts Workers Union (RATTAWU) has concluded its elections with new members of executive emerging in an election adjudged by staff of the council to be free and fair. The election followed the expiration of the tenure of the previous executive with contestants for the new positions convincing staff to garner votes after weeks of rigorous campaigns. Assistant Secretary Genera l – Comrade Abubakar Salawu. And Ex-Officio – Comrade Ibrahim Musa.